Kick-off meeting: DAAD Thematic network „Research on Rare Diseases and Personalised Medicine"
Since April 2015, in the frame of ist program "Strategic Partnerships and Thematic Networks", the German Academic Exchange Service (DAAD) is funding the research project "Research on rare diseases and personalized medicine", based at the Hauner Children's Hospital. 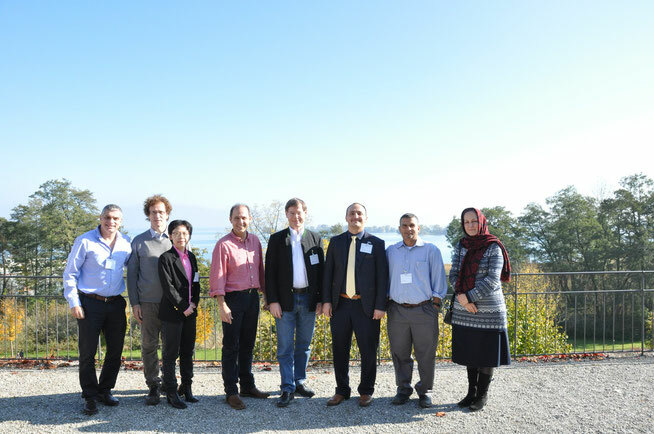 On October 20 and 21, the network members had their first joint strategy meeting in conjunction with a symposium and workshop on "Very Early Onset Inflammatory Bowel Disease" on the island of Herrenchiemsee/Bavaria. Representatives of partner institutions in Thailand, Israel, Turkey, Iran, the US, Canada and Austria presented their work areas, research projects and institutional frameworks for the exchange of students and university staff. Especially in the field of rare diseases, university and international research cooperation for the development of new, individualized therapies is essential. With the generous support of the DAAD, pre-existing international cooperation structures can be stepped up significantly. Mrs Helen Schomer (DAAD) presented the funding line "Strategic Partnerships and Thematic Networks" which is financed by the Federal Ministry of Education and Research. In addition to the continuous exchange of students and experts in the field of research for rare diseases, the participation of selected young scientists and scholars at the conference was made possible by the Thematic Network. 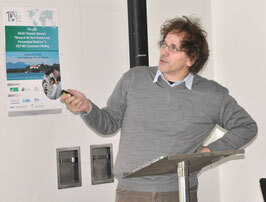 In his key note lecture, Josef Penninger from the Institute of Molecular Biotechnology in Vienna (IMBA), spoke about the discovery of genetic nexus in the immune system. The exchange of experiences in the diagnosis and treatment of young patients all over the world who suffer from various infections and immune disorders was at the heart of the opening event. There was a steady focus on the goal of developing new concepts and treatments for every single child. 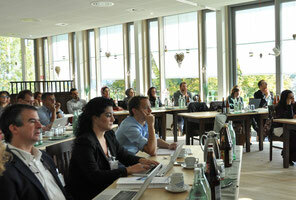 The second day of the meeting included a workshop on chronic inflammatory bowel diseases in early childhood. In addition to Daniel Kotlarz MD from (Hauner Children's Hospital), several working groups around Scott Snapper from Boston Children's Hospital, Aleixo Muise from the Hospital for Sick Children in Toronto and Josef Penninger from the IMBA presented their research fields. Daniel Sprockett from Stanford University, Rob Vries from Hubrecht Institute, Judy Cho from the Icahn School of Medicine at Mount Sinai and Holm Uhlig of the University of Oxford discussed their latest findings in another session. The subsequent debate evolved around the possibilites for further research and closer cooperation. The existing training structures at the Hauner Children's Hospital were expanded by the meeting. 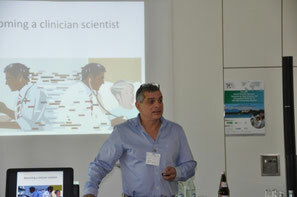 Raz Somech from the Sheba Medical Academic Center/Tel Aviv led a workshop entitled "Becoming a clinician scientist" within the frame of the Else Kröner Fresenius Clinical Research School Munich. The Research School, located at Hauner Children’s, offers young medical doctors insights into basic science research. In the workshop, the current challenges of combining the two paths in one career were discussed with the active participation of the DAAD fellows and other young scientists. The decision in favor of a career that is based in both areas entails challenges and conflicts but also the chance of discovering holistic cures for patients with rare diseases which can be brought about by connecting the basic scientific understanding of diseases with the clinical observation of the patient. At the closing oft he event, the 50 participants had discussed many new aspects and found new partners, with whom they will hopefully get closer to fulfilling the mission of striving to provide cures for all patients with rare diseases. The meeting was inspired by the beautiful location of the conference venue on the island of Herrenchiemsee in the middle of Bavaria's largest lake which was complemented by a wonderful autumn weather. The meeting will be held every year during this DAAD thematic network, each year with a different thematical focus within the topic.